Volcano Day: Tai Mo Shan | O hi, Asia! 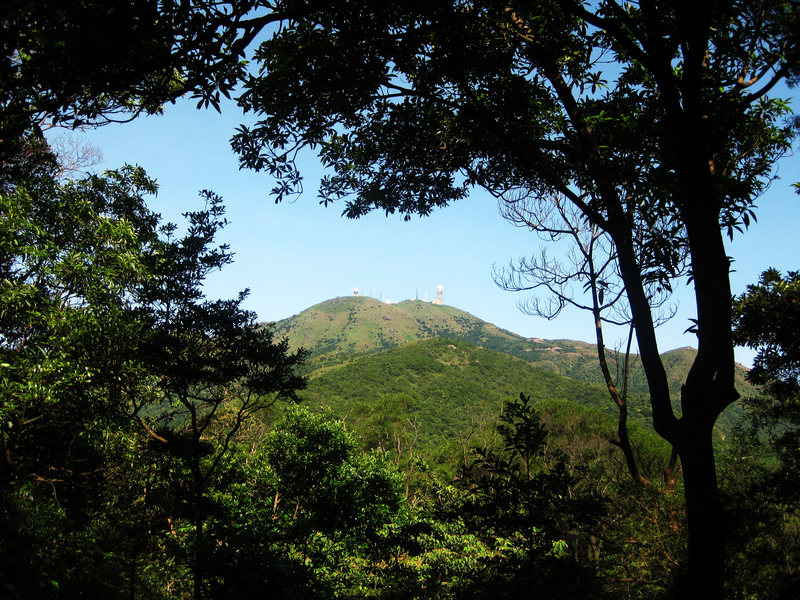 Tai Mo Shan is no fancy, Hawaii-style volcano. 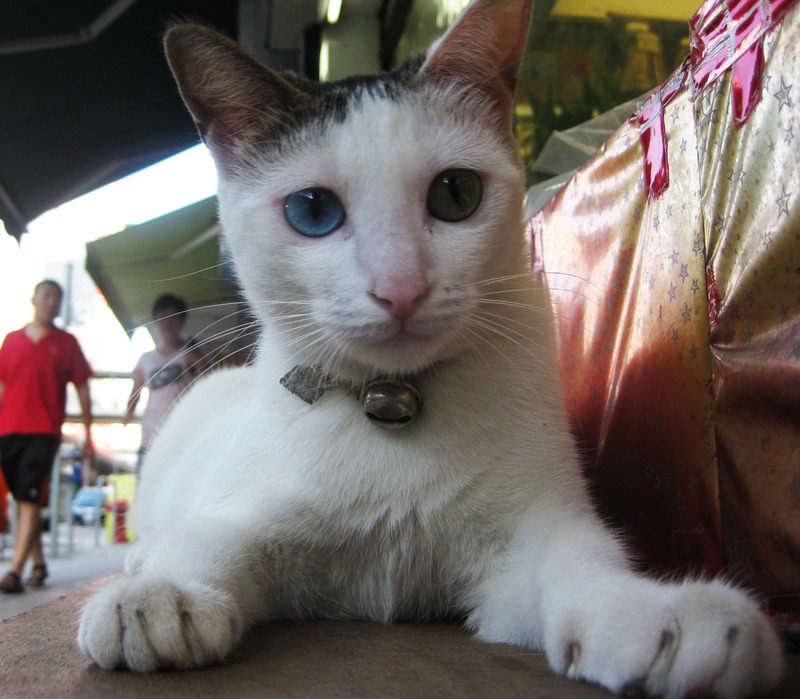 Actually, Chip’s mom has lived nearly her whole life at Tai Mo Shan and never knew it was volcanic in the least. Here’s some easy info about the place. 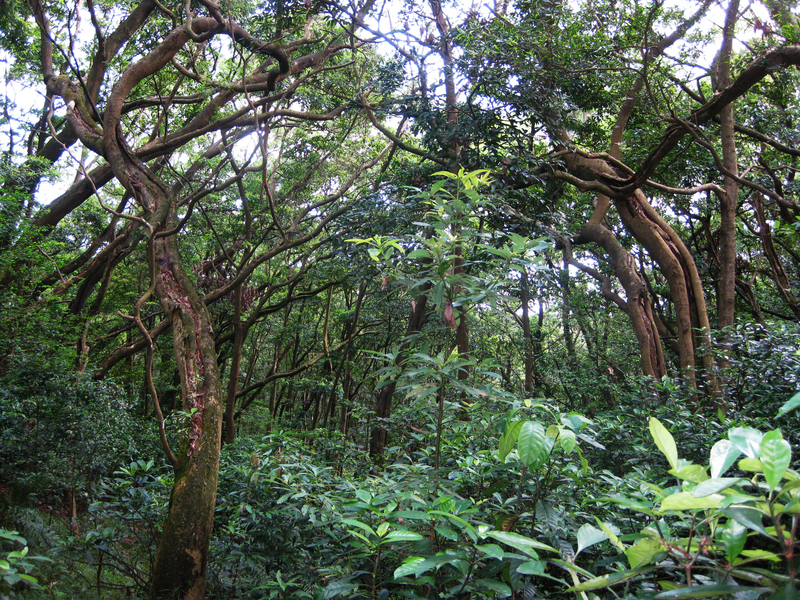 Chip and I did the “Tai Mo Shan Family Walk”, as we couldn’t be bothered taking the “extreme” route to the top-top. This was the best view of HK we saw. 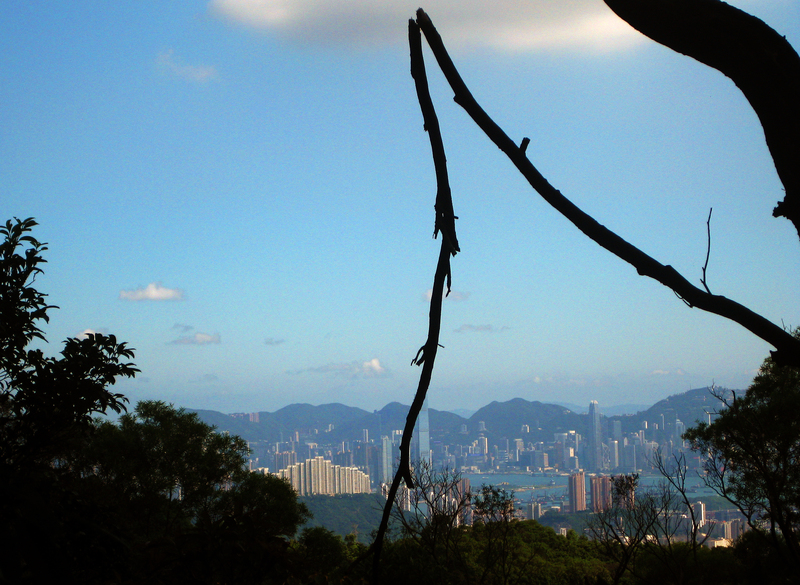 There was a bunch of tall grass between us and that stupid broken branch, and neither of us was willing to walk through it to get a better shot, so here’s a broken branch and Hong Kong. Even in the wilderness, we need our peace signs in photos!! Here’s a heli pad in the middle of nowhere. 1. Big old leaf-plant. 2. Little guys that Chip said look like little umbrellas. 3. A split-tree Chip thinks is a sign of the occult and I think is a sign of lightning. Or Blair Witch. Here’s an elaborate, fancy tree-ballet we happened upon. We spotted this sign was beside the small road by the heli pad and decided to take a closer look. It seems the word is out! We took a long, winding bus ride back down to the MTR stop. I went home, passed out in my clothes, woke up at 8:30p starving, called Ian to see if he had any food. He did, and that’s when I got food-poisoned. On my way back to the hotel I ran into this guy. He’s your reward for making it to the end of this post! I named him Mr. Boo. Apparently you and Chip missed the “for your safety, please keep away from the helipad” sign. Did you feel any hot air vents? Great writeup! I can now check “send someone on the other side of the world up a volcano” off my bucket list. No vents! 😦 Just normal trail-stuff. I feel a little slackerish not climbing the thing, but I’ll blame Chip and hope you let it slide.